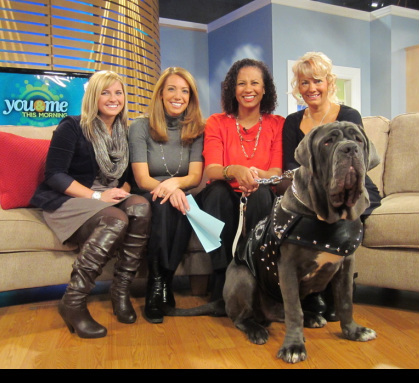 Rufio and his girls, just before his big debut! TMZ St. Patrick's Contest WINNER!! 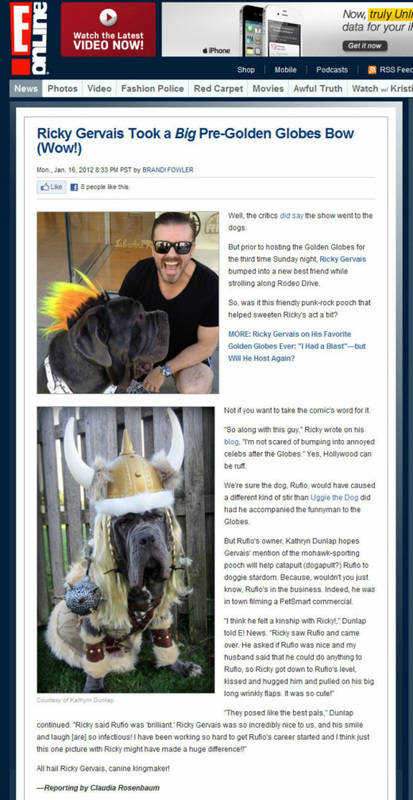 Rufio and Ricky Gervais on Rodeo Drive in L.A.
MONSTER CUTE PETSMART CONTEST WINNER!!! Watch for Rufio in a Petsmart commercial!! The Romeoville Patch promoted Rufio's upcoming role as "spokes-pooch" for the Romeoville Humane Society's motorcycle run on 8/21. The Downer's Grove Patch recognizes Rufio for his frequent appearances at the Friday Night Car Show. 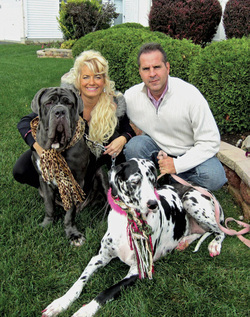 The Enterprise featured a full page story on Rufio's continuing success and his contributions to Neo Rescue. The Sun-Times local newsgroup featured another full-page story about Rufio as a follow-up to their first story, this time to tout his SECOND Hallmark Greeting Card win. The Sun-Times local newsgroup featured a full-page story about Rufio and his Hallmark Greeting Card contest win. The Chicago Sun-Times picked up a portion of Rufio's story for the Easter Sunday edition.